Here is everything you wanted to know about the newest Kindle, in a handy roundup packed with comparisons, specs, and pics. 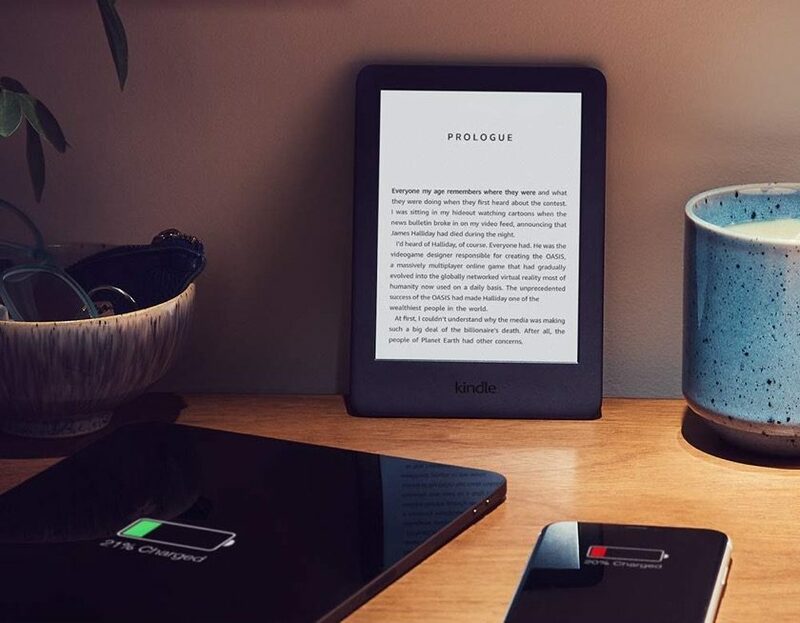 Almost three years after Kindle 8, the next-generation entry-level Kindle has been announced by Amazon, and it brings one feature you should be excited to have. 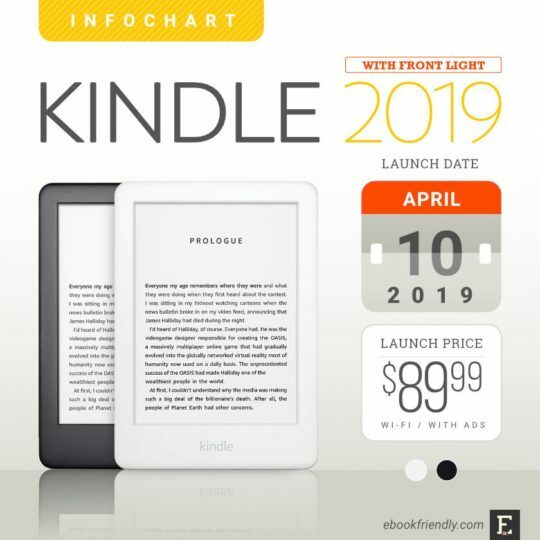 The new basic Kindle 2019 ships on April 10, in black and white color variants, complete with a range of original fabric covers. The biggest improvement is a front-lighted display. This feature alone makes the price of the newest Kindle go up by $10, to $89.99, for the variant with special offers. The ad-free version costs as usual $20 more – $109.99. 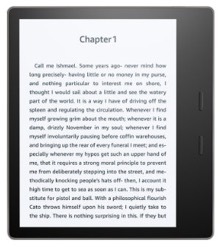 Just like Kindle Paperwhite 4, the new Kindle is offered with three months of Kindle Unlimited free of charge. 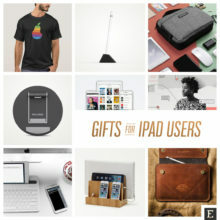 The subscription is worth almost $30, and you will receive instructions by email how to redeem it. The international version is also available in the US Kindle Store and it costs $109.99. 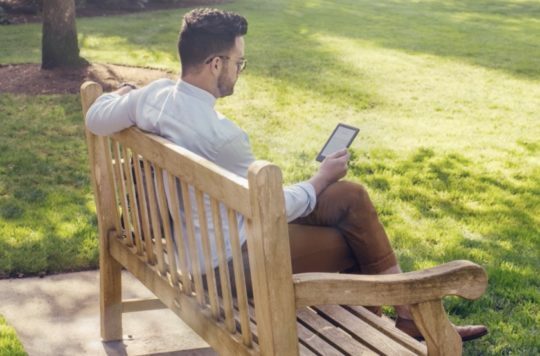 Keep reading to learn more about improvements, compare to other Kindle models, dive into full tech specs, and see a selection of the best pictures. 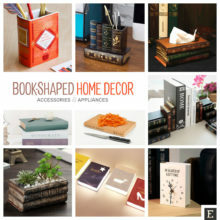 While the front light is the new Kindle’s major upgrade, there are a few things that have been changed or modified. So far, the basic Kindle was the book lover’s best companion when reading outside. Opposite to LCD displays of tablets or smartphones, an e-paper technology allows to clearly display the text even in the brightest sun. Try to read on the iPad or Amazon Fire in the similar conditions. The screen is too dark, even when the brightness level is set to 100%. Now, you will be able to read on the Kindle also in the dark without the need to turn on an external source of light. You won’t need a bedside light to read in bed while your husband is sleeping. You won’t need to light garden lanterns when you are binge-reading a new YA series long into the warm summer night. It’s thanks to the front light. It’s a system that is already offered in both Paperwhite 4 and Oasis 2. There are 4 tiny LED lamps placed around the display, under the front bezel. They spread an even light over the display, making the text visible even during the darkest night. The light is adjustable. You can set the level manually to fit light conditions and your preferences. One thing is worth highlighting. The front light is not hurting your eyes the way LCD screens do. The lights in the Kindle are directed horizontally across the surface of the screen, not directly into your eyes. Thanks to that, you can read for long hours without causing eye strain. 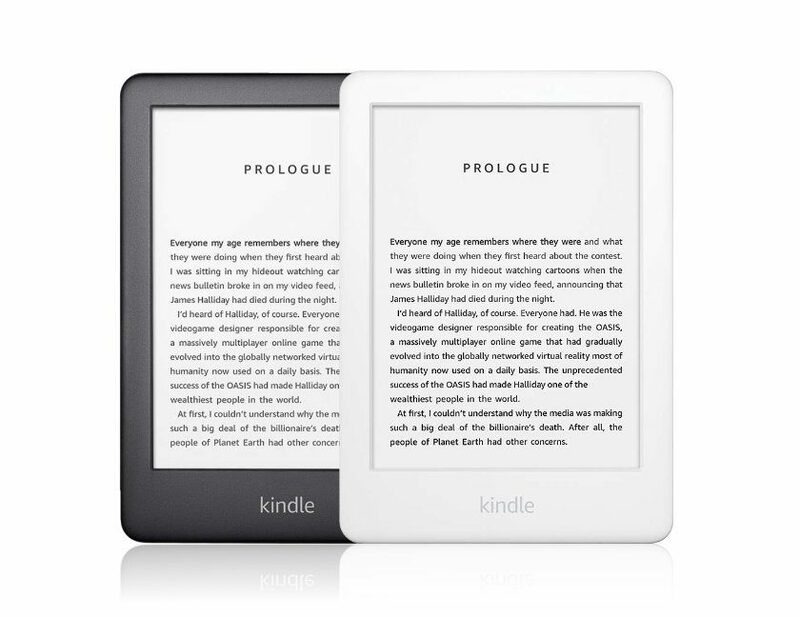 When looking at the photos of the previous-generation Kindle, you’ve immediately spotted that the screen was not white but rather gray. It was particularly visible when contrasted with the bezel in the white version. The tech specs of the display are the same as in the previous generation: resolution of 800 × 600 px, pixel density of 167 ppi, and 16 grayscale levels. 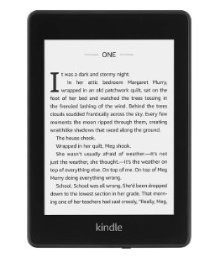 However, in the technical details section on Kindle 2019 product page we read: “Amazon’s 6-inch display with built-in light.” In the 2016 model, it was E-Ink Pearl display. The contrast of the screen had to be improved if it was meant to work with the front light. 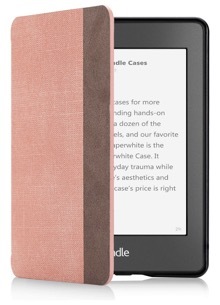 The new design makes the 2019 Kindle look modern and feminine. 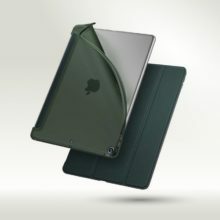 The shape has more curves and gives an impression the e-reader is lighter and smaller. Let’s compare it with the specs. The 2019 has the same width and height as the predecessor. The only improvement is the depth: 0.34 in compared to 0.36 in the 2016 model. 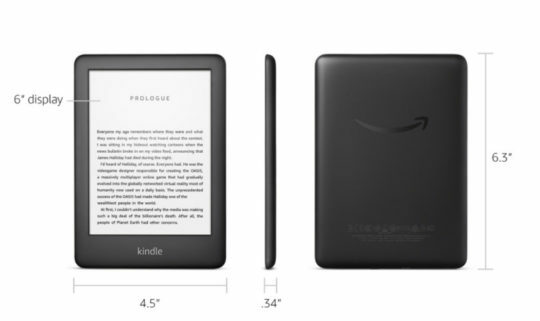 What may come as a surprise, the newest Kindle is not lighter, although it looks so. It weighs 5.7 oz and is heavier by 0.4 oz than Kindle 8. The front light system is here to blame. 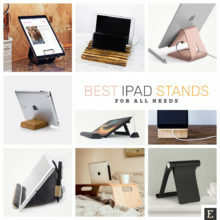 The Kindle Unlimited bundle introduced with the launch of Kindle Paperwhite 4 seems to be an important factor in boosting sales of the new model. 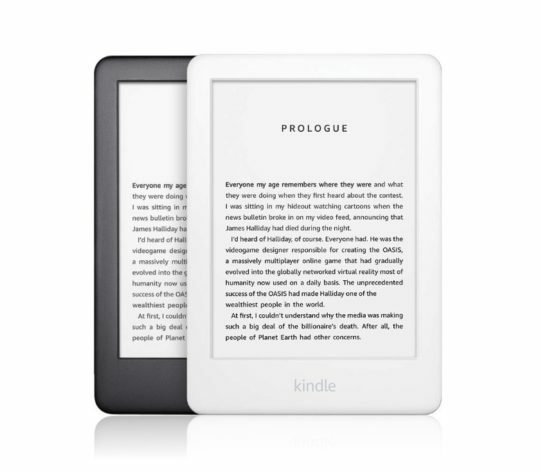 The basic Kindle 2019 model comes with the free Kindle Unlimited plan, as well. When you buy the e-reader, you become eligible to get the 3-month Kindle Unlimited plan free of charge, that’s worth $30. If you don’t cancel the subscription during this free subscription plan, you will start a regular subscription and get charged $9.99 every month. Redemption instructions will be sent to you via email shortly after your Kindle ships. You are not obliged to redeem the code, but if you are going to use it, make sure it happens in the next few months. The Kindle Unlimited bundle is a limited-time offer. Looking at the example of Paperwhite 4, we can say that it will be gone by May 2019. 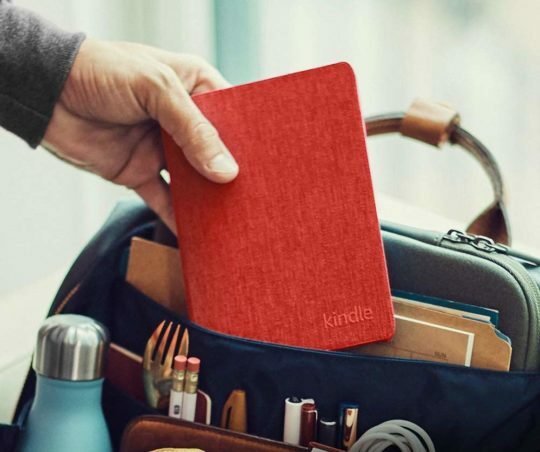 Just like any new other newly launched Amazon device, the 2019 Kindle comes accompanied by original accessories. 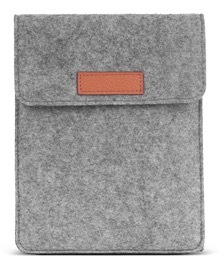 So far, only fabric Kindle covers have been released. Four color options are available: Charcoal Black, Marine Blue, Punch Red, and Sandstone White. The last option is especially interesting. 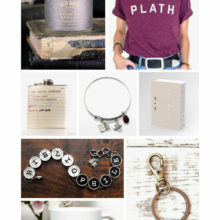 It’s the white-beige cover that would be a perfect match for the white Kindle. 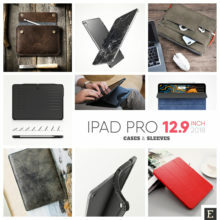 Will original Amazon leather covers be released for the 2019 Kindle? We hope so. 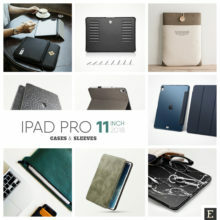 Maybe we will not see a premium genuine leather cover any time soon, but we believe the basic leather lineup (the same as for the Paperwhite) will be launched in the coming weeks. 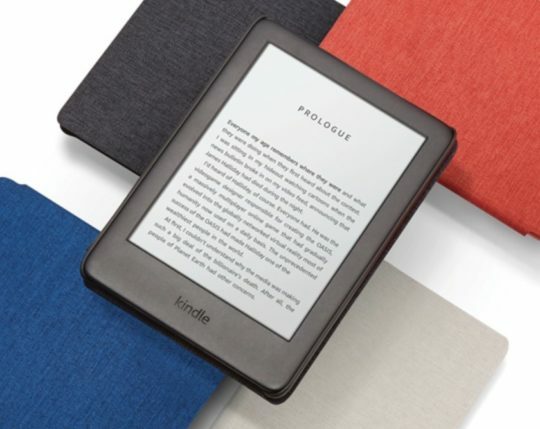 Below, we will compare major features and specs of current Kindle models, but the decision boils down to answering a far more important question: what are my reading preferences? We’ve got a handy quiz that will help you define which Kindle model suits you the most. When it comes to features, we’ve got them covered in a table below. After discontinuing the Voyage last year, the Kindle range is simplified, making it much easier to pick up the most suitable model. Ability to read both in the bright sun and in the darkness. Long battery life allowing you to read for weeks without the need to recharge. 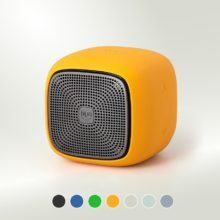 Ability to play Audible audiobooks via connected Bluetooth speakers or headphones. If you need a bigger screen than the standard 6-inch (which is comparable to the paperback size), you are looking into Kindle Oasis 2. If you need a waterproof device, you will have to choose between Paperwhite 4 and Oasis 2. On the other side, you should ask yourself a question: do I want to pay extra $40 for the Paperwhite to get the waterproof device? 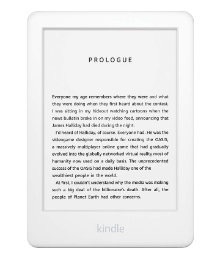 If you need the display with the high contrast and crisp text, you should forget about the basic Kindle. Its screen has been improved, but still it has worse resolution and pixel density, what makes the text less readable. 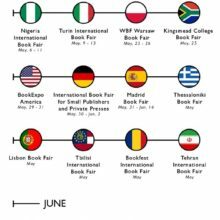 If you are planning to use the Kindle as an audiobook player, don’t pick up the basic Kindle. With its 4 GB of memory, you will be able to download only some 15 to 20 audiobook files. It’s better to choose the Paperwhite that comes with either 8 or 32 GB of internal memory. 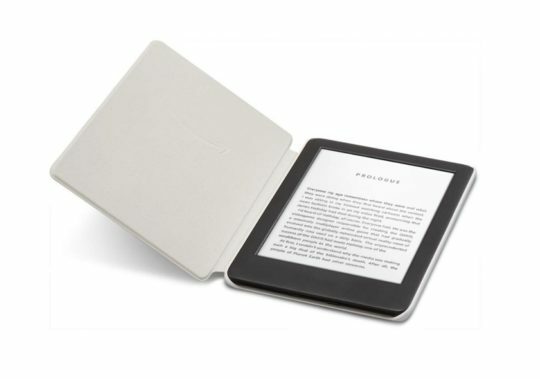 If you need a white Kindle, the only model you can pick up right now is the basic Kindle 2019. However, the white Paperwhite may be launched this year, so if you are not in a hurry, you can wait a few months. Here is a handy table that collects all important data tech specs of the newest basic Kindle model released in 2019. The white Kindle is back! Take a look at how the two color versions compare, and pick up the one that reflects your personality better. In the last part of this overview, let’s see what Amazon themselves says about the newest Kindle. The glare-free screen and built-in front light are easier on your eyes than backlit screens, so you can read for hours. Kindle is thin and light, making it easy and comfortable to hold in just one hand. Highlight passages, look up definitions, translate words, and adjust text size – without ever leaving the page. 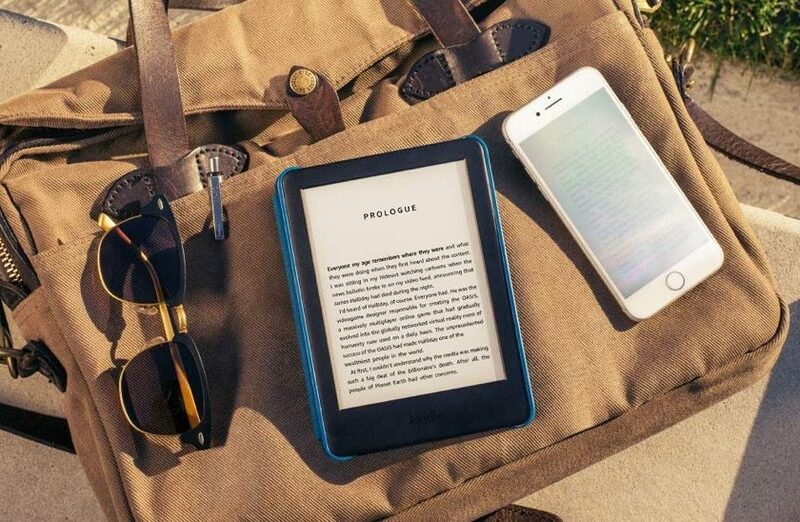 With 4 GB storage, Kindle lets you take your entire library with you on the go. 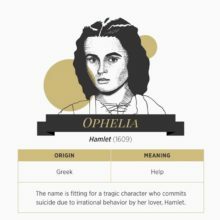 Highlight passages, look up definitions, translate words, and adjust text size – all without leaving the page. Unlike tablets and smartphones, Kindle lets you read for weeks on a single charge. 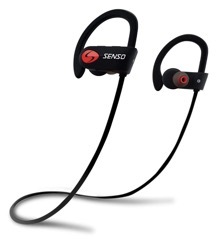 Pair with Bluetooth headphones or speakers to switch seamlessly between reading and listening.